The RNLI is a charity service that saves lives at sea providing 24 hours a day search and rescue missions around the UK and the republic of Ireland. Also they provide seasonal lifeguard service on many of the beaches around the UK. 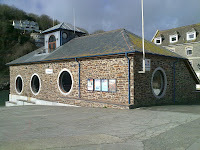 As with most harbours and ports around the country Looe has its own Lifeboat station and volunteer crew. 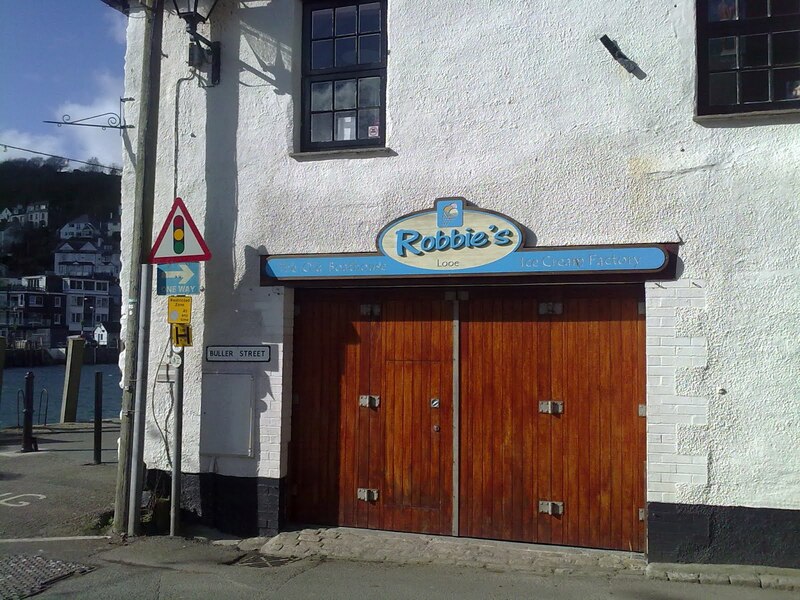 The first Lifeboat was established here in 1866 after several lives were lost at sea on a fishing boat. 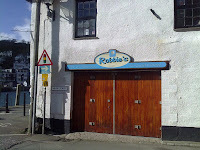 A total of three lifeboats served Looe until 1930 when th e station closed. In 1992 the station was re opened again and a more modern D class lifeboat was again here to help those in distress. 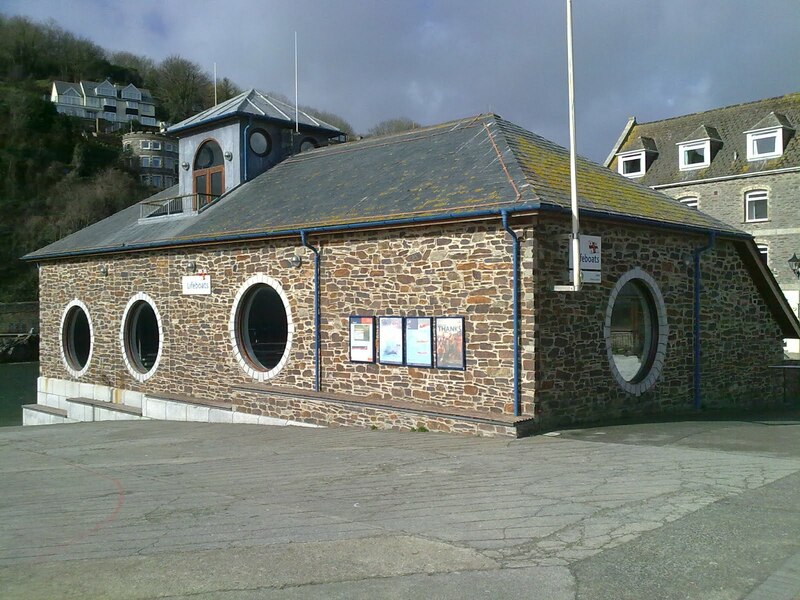 All this time the Lifeboat had been housed in a shed on the seafront but in 199 8 when it had to leave that building it was re housed in 'Middletons Corner' a former house across from our Looe shop. 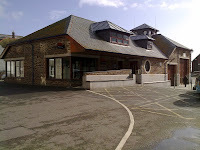 A lot of work was done to convert the house into a Lifeboat station but there was always the problem of getting the boat to the beach for launching, especially during the summer months with the holiday crowds so in 2002 a purpose built Lifeboat station was built on the seafront on the site on an old obstacle golf course which would now house the D class boat, and as well Looe welcomed a new Atlantic 75 inshore boat to join it. 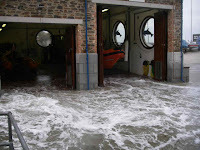 Last year Looe had a new D class lifeboat to serve the harbour, with the money being raised by donations. I have every respect for the Lifeboat crew and can only imagine the feeling of relief to see a Lifeboat on its way to you if your life is in danger at sea and they are on call whatever the weather or situation. As you can see in this photo it even gets flooded itself during winter storms when the high tide coincides with south easterly gales! Here in the Looe shop we keep a collecting box by the till for the Looe Lifeboat and through the generosity of our customers we raised a total of £61.75 which was going towards the replacement of Lifejackets.